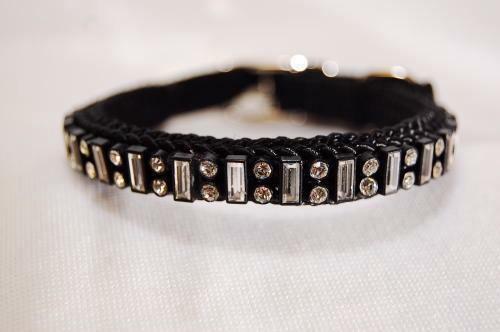 These baguette bezel collars are 3/8 inch wide and come in black braided style only. They feature a long crystal diamond alternating with a crystal diamond. 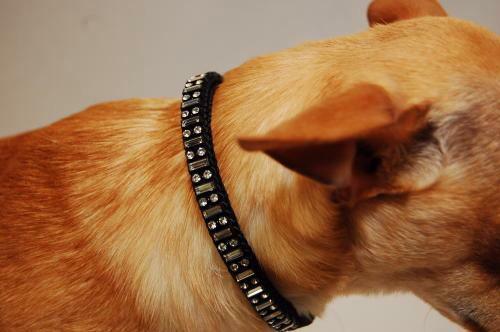 We also have a leash to accompany this collar to make a beautiful statement!